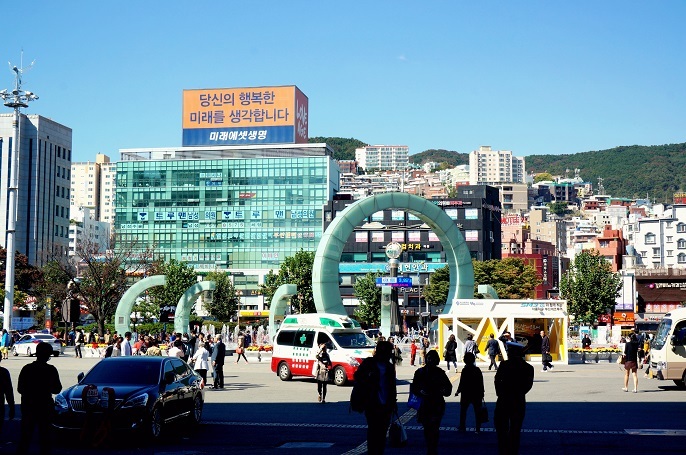 Did you enjoy my post about Busan? If you missed them out, you can see them all at here. I hope you enjoyed reading all the posts as much as I enjoyed writing every piece of them. 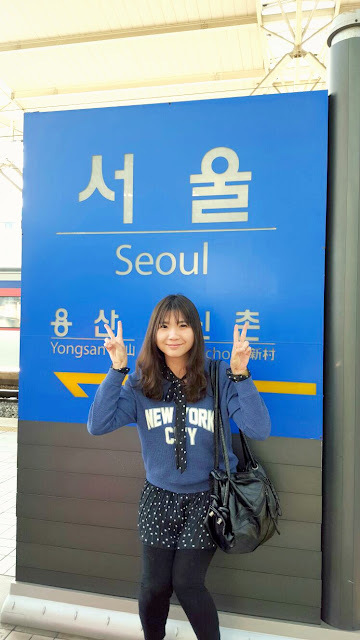 And today, I am gonna start my journey in Seoul! It's our forth day in Korea, and we couldn't express how happy we were that we finally stepped our feet on the Seoul land! Busan station was pretty busy in that morning. 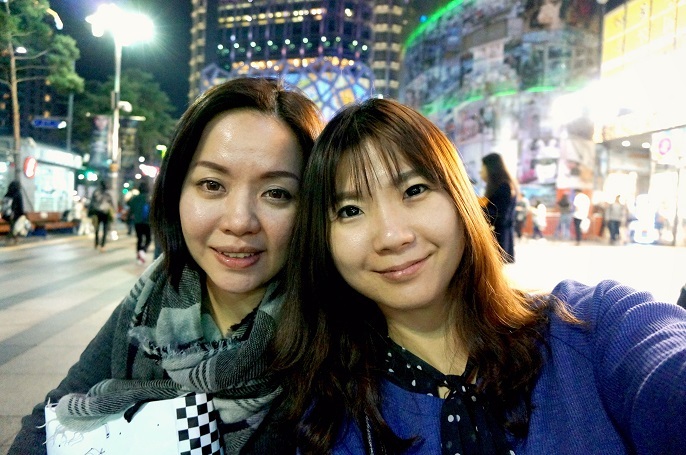 We woke up early in the morning, packed our luggage, had our breakfast, and get ready to say goodbye to Busan. The train ticket wasn't as cheap as we thought. 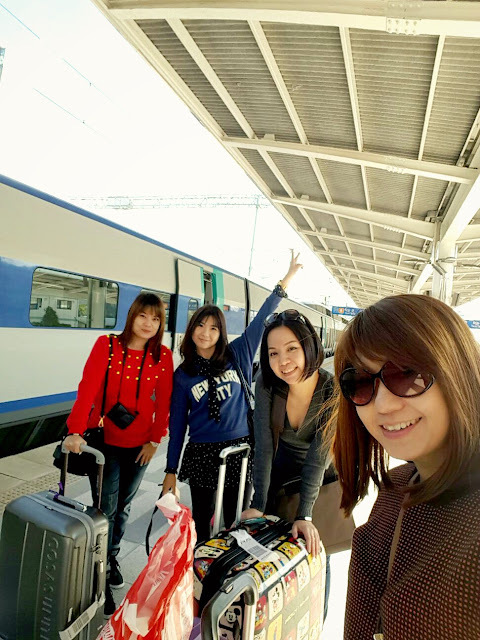 For each person, it was about RM245 from Busan station to Seoul station by KTX train. 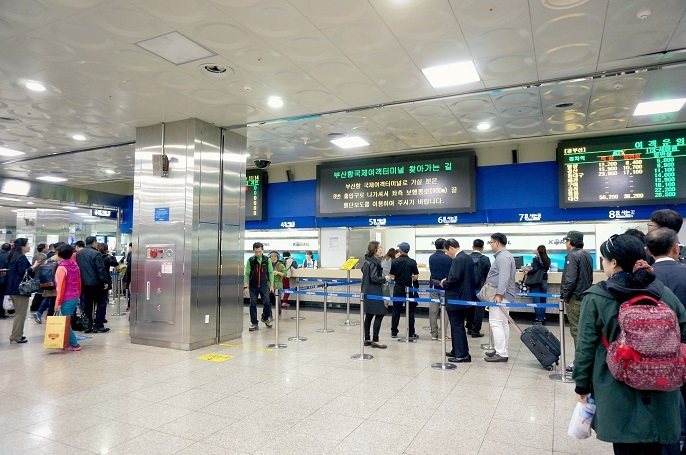 KTX train departs from Busan Station to Seoul Station are very frequently. And, we got our ticket just on that day we arrived at the station. The journey was about 3 hours, which is kinda a long ride. But, it was okay because the train is clean, the seat is comfortable and the surrounding feeling is good for taking a short nap. 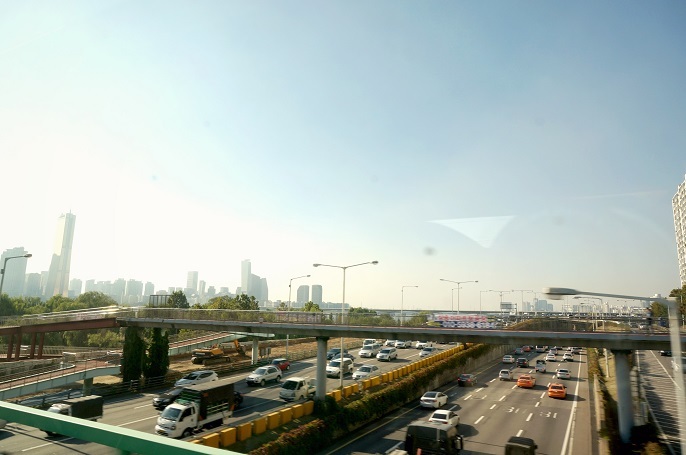 Are we there yet, Seoul?! Have been missing you so much, Seoul! We were so so hungry after we checked in the apartment. If you want to know the apartment we stayed, you can read the post right here. 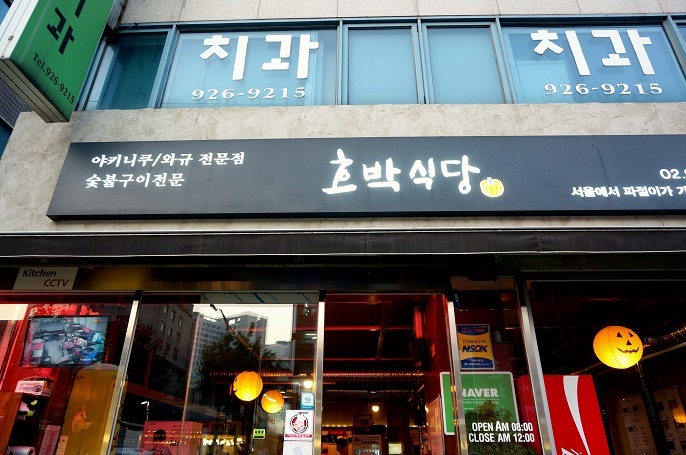 We simply choose a local restaurant nearby our apartment. Too hungry and couldn't wait to eat! We basically ordered everything we like! 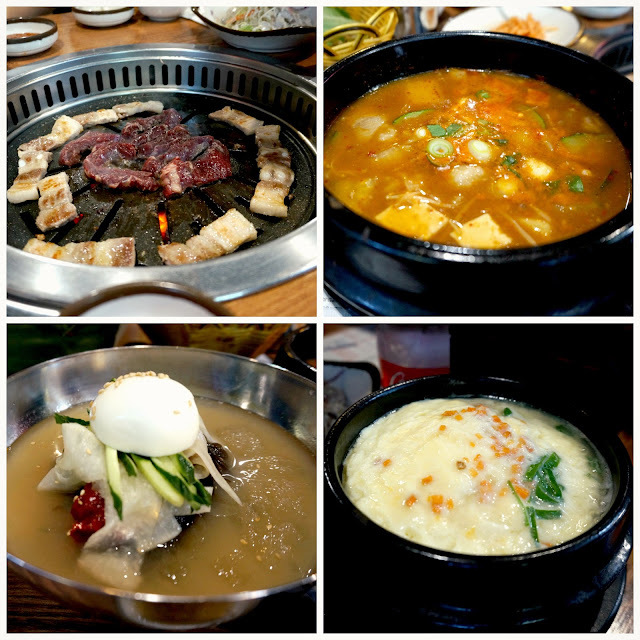 To my tastes, Korean food is the best for me! We all were tired from the whole day's travelling. 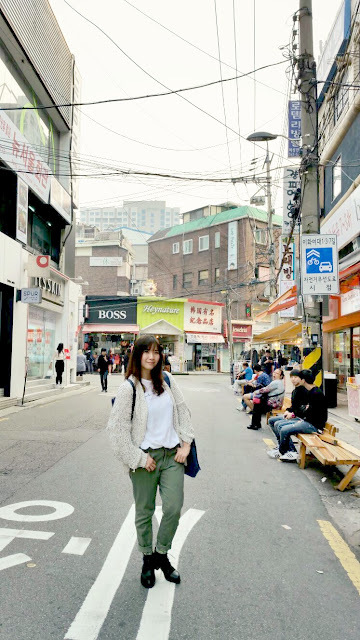 So, we decided to slow down our activity on that day by just paying a visit at Myeongdong, and Dongdaemun. 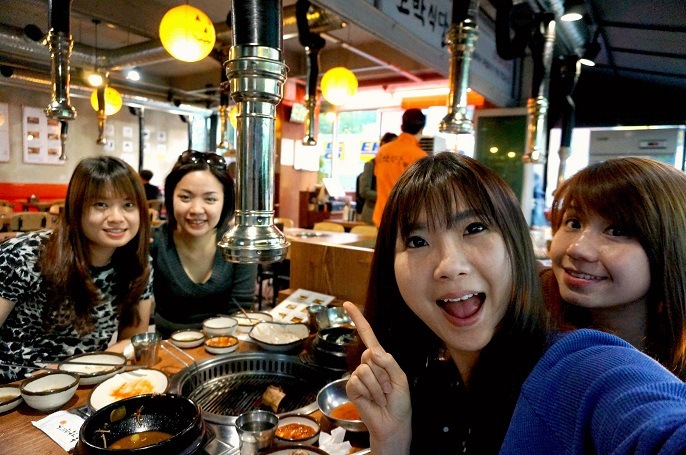 I guess everyone heard of these places even you never been to Korea before. These two places are the women's shopping heaven! 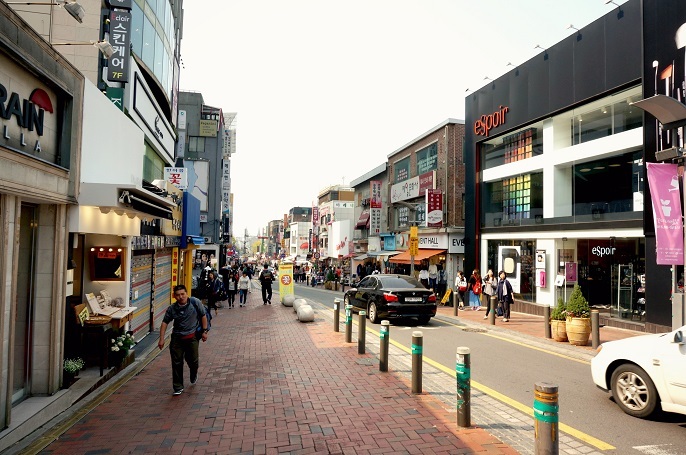 Myeongdong is one of the primary shopping district in Seoul. 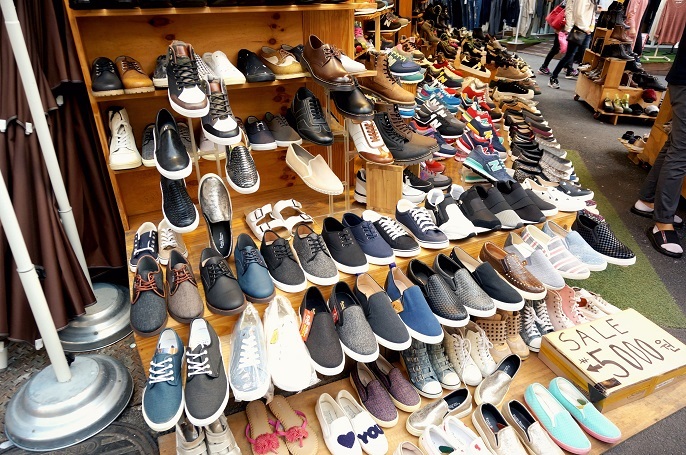 It has it's mixture shopping places of street stalls, retail outlets, department stores, which selling from high fashion to casual attire, and low to high prices. Besides, it is also a famous place for hunting the Korean cosmetics. You just name the one you want, and it is there right in front of you! There are lots of choices waiting for you! 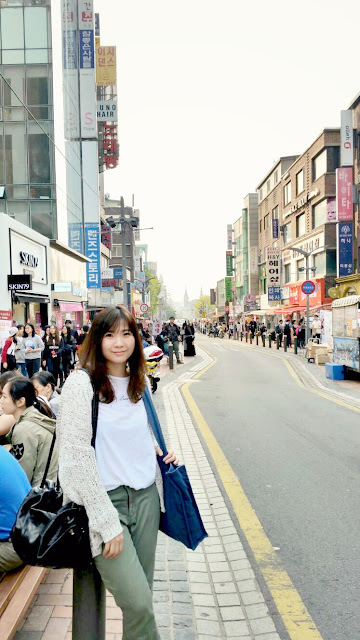 Aside from the women's shopping, Myeongdong is also a heaven for food lovers. 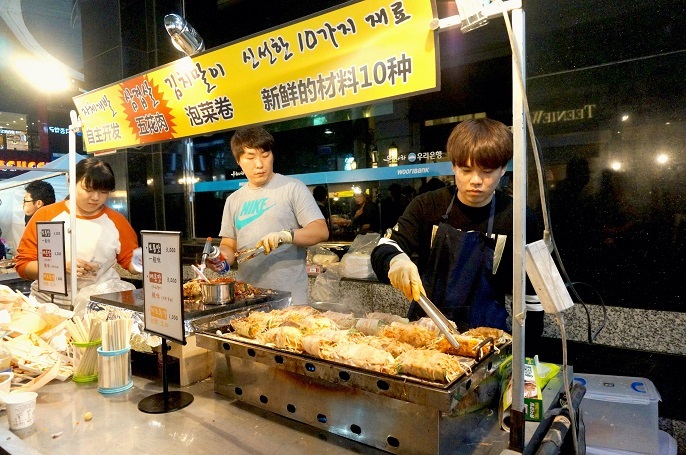 You can hunt variety of Korean Street Food in every corner at Myeongdong. 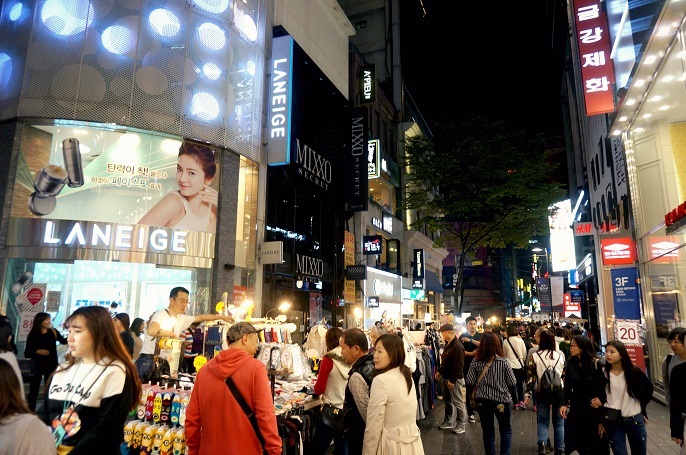 And for Dongdaemun, we didn't do much here but just walked around and surveyed the pricing. Btw, before that, I already knew the clothing wouldn't be cheap since this place become a popular tourist attraction. The average one piece of clothing is about RM100 plus, I think that's way too expensive if compare to Busan and other places I found in Seoul. 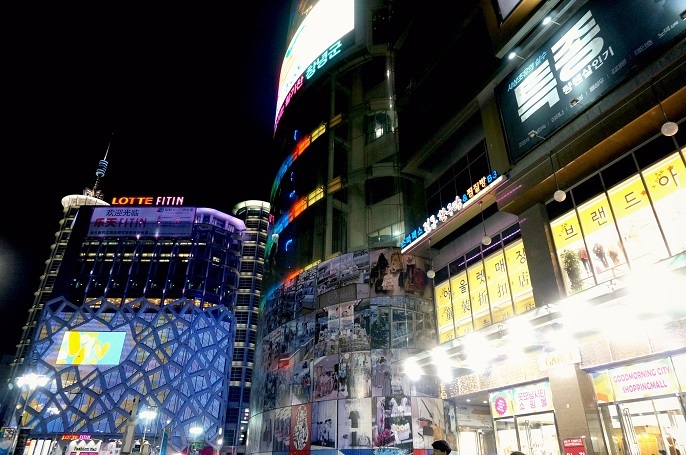 However, one of the advantage shopping at Dongdaemun is you got many choices over there. The place is like the Platinum Fashion Mall in Bangkok which are full of fashion clothing. Here comes the fifth day in Seoul. 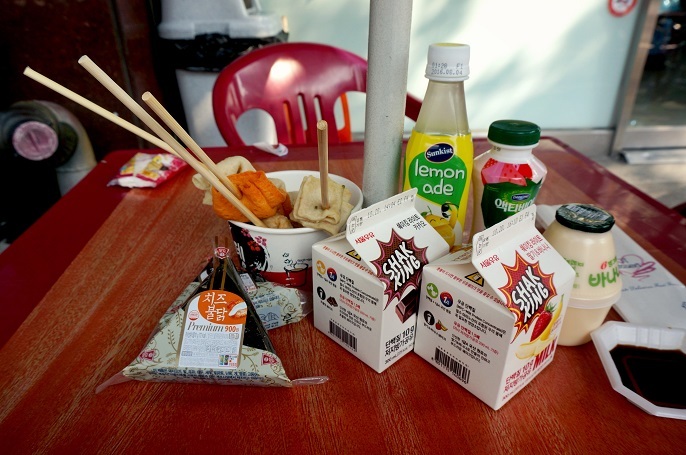 The weather was good, so we decided to pop up at the convenient store to have a simple breakfast! We just grabbed whatever we like to eat and drink and just sit at the outside table. Kind of cool breakie huh! 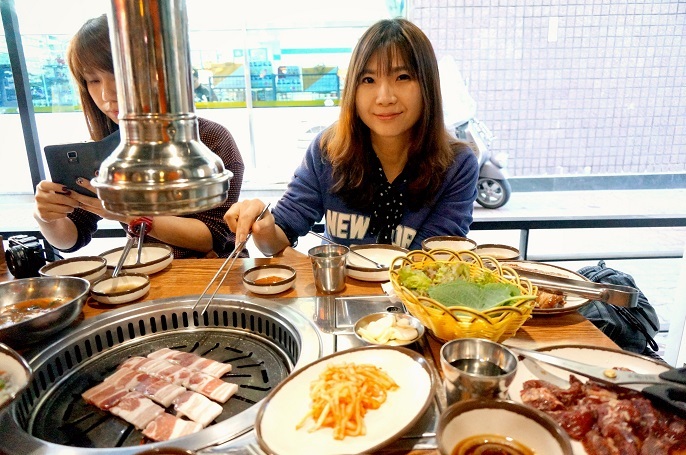 It's totally different eating experience which we enjoyed very much in Korea. Oh yes! 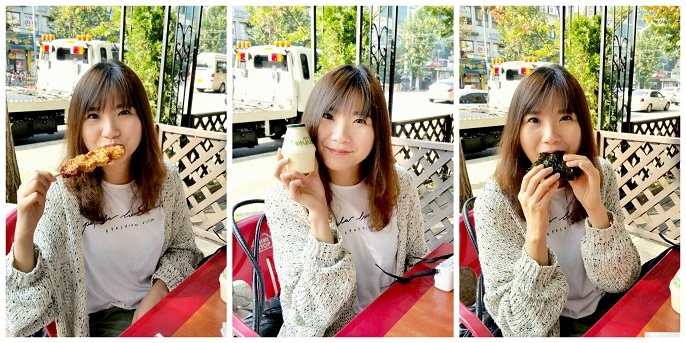 I finally had the famous Banana Milk on hand! 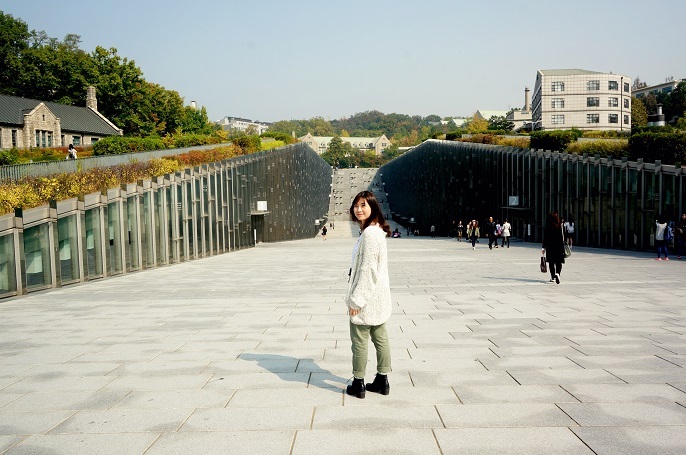 Have been hearing Ewha Womans University for long time, but I never thought this place could be so interesting to visit. Wanna know how interesting it is, come let's follow me! 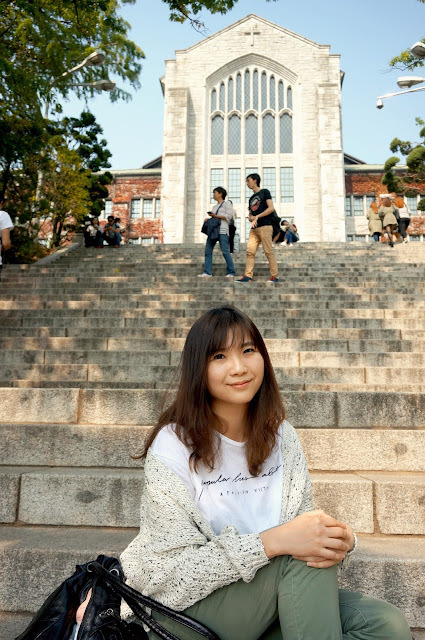 Ewha Womans University is a private women's university in Seoul, and it also the largest female educational institute in the world. It's truly a beautiful campus with a nice surrounding, building, manicured garden, and flowers are all over the campus. The architecture design of the place is very unique, it's like where traditional meet modern. Before going up to the main campus, here's the nice site to walk along. Those metal strips along two sides are actually the classrooms for the students! Cool, isn't? That's everyone favourite spot to shoot outside at the campus, I guess?! The main building of the campus were sitting up at the hills. So, there are some hiking to do for getting up there. But once you are on the top of the hill, you will have a wonderful view of the surrounding! 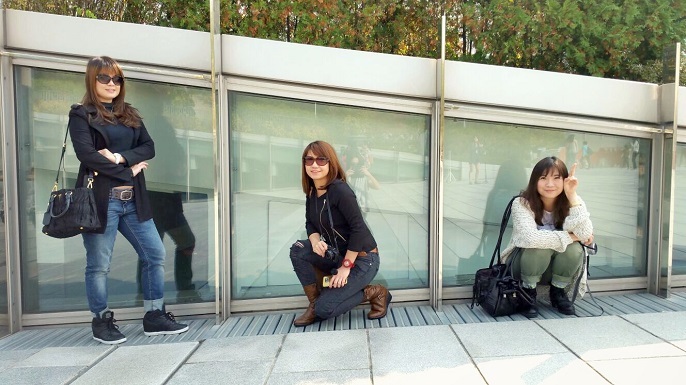 Besides walking around, this campus is also good spot for photographer lover to take pictures here. Can you imagine that? We took tons of pictures over there! 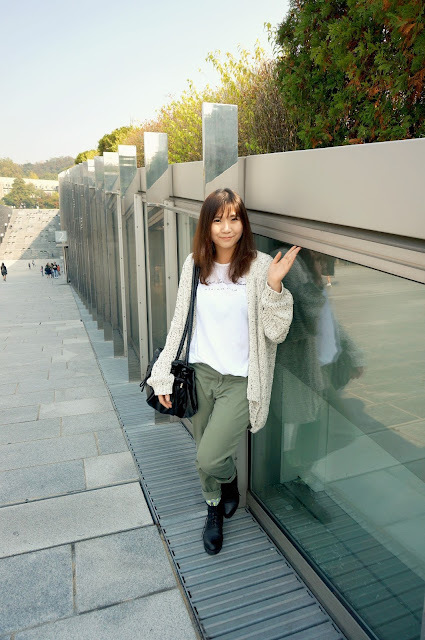 Ewha University is gorgeous and I love every bit of it. 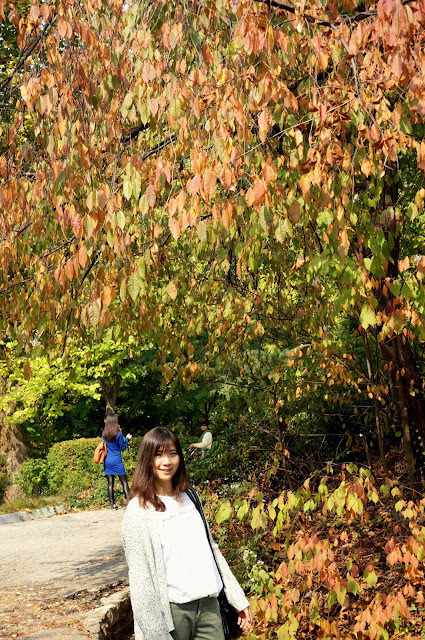 Beautiful leaves to greet the Winter season. 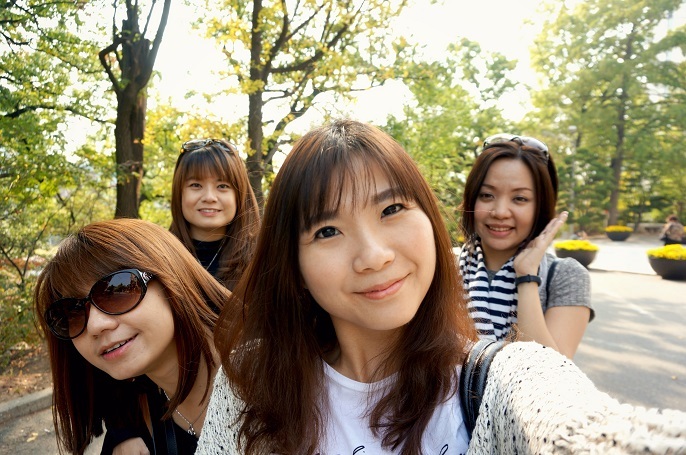 We had so much of fun at the Ewha Womans University. Couldn't stop giving a thumbs up to this place! 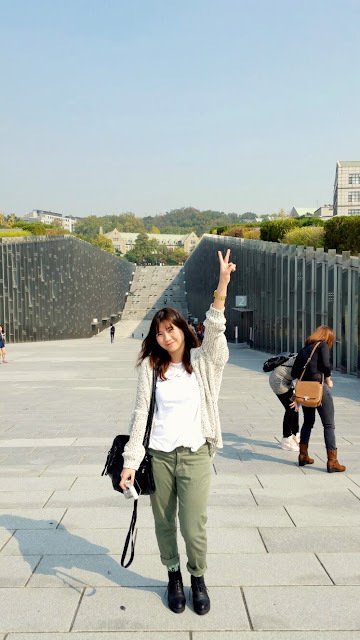 What's more you can find at Ewha Womans University? 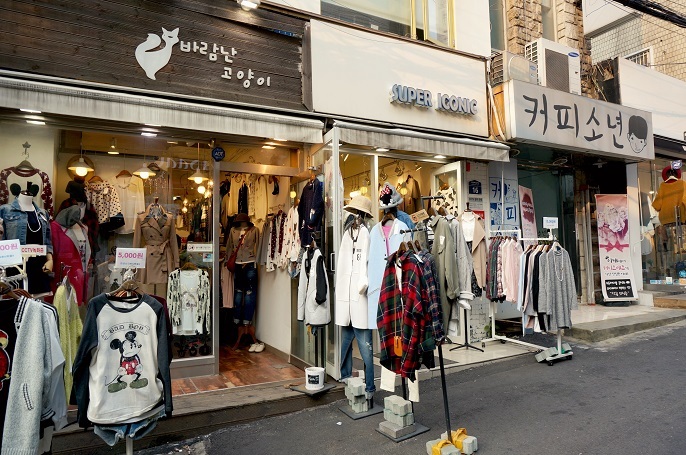 As the female university located at this area, there is a street named Edae Street which has many stores selling clothing, shoes, bags, accessories, beauty products and so on! It's certainly a lady's heaven in Seoul! Clothing stores in this area sell affordable and stylish fashions to the ladies. Most of the clothing we bought were at 5,000 to 10,000 won which is about RM19 to RM38. There is a shop selling all bags at 10,000 won for any designs too! We think the prices are cheap, almost the same prices we got in Busan, plus the quality is good value for the prices too! Seriously, there's nothing more I could ask for more at Edae Street! If you are planning to get plenty of fashion things or looking for fashionable stuffs , then this is the place to go to. 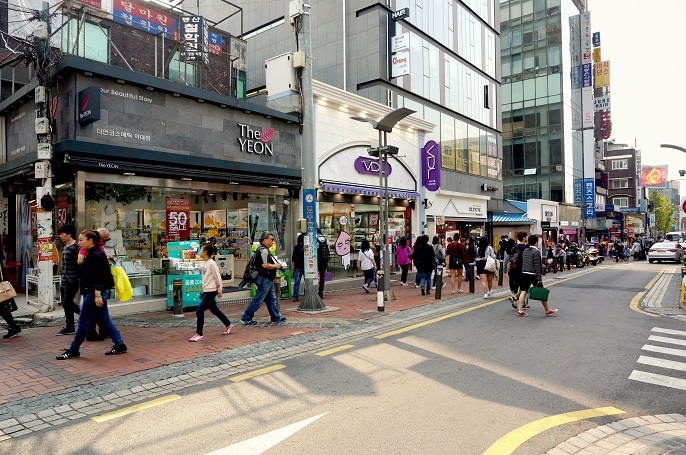 Do not miss this out on this wonderful shopping place in Seoul! 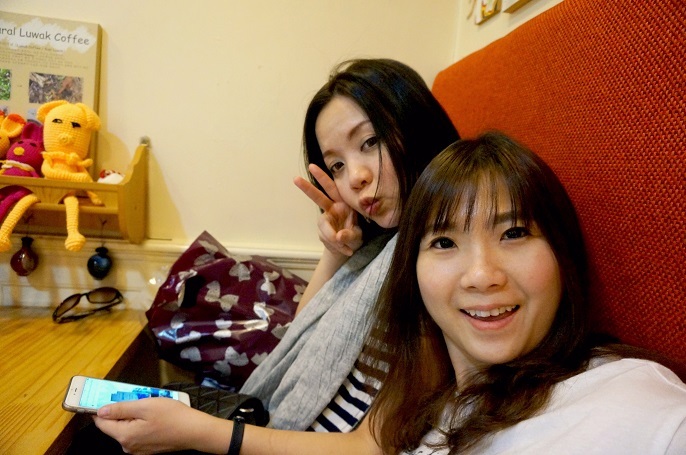 We spent the whole afternoon just to shop at the Edae Street, till May suggested to take a rest for some coffee. We found this little hidden cafe at one of the alley. 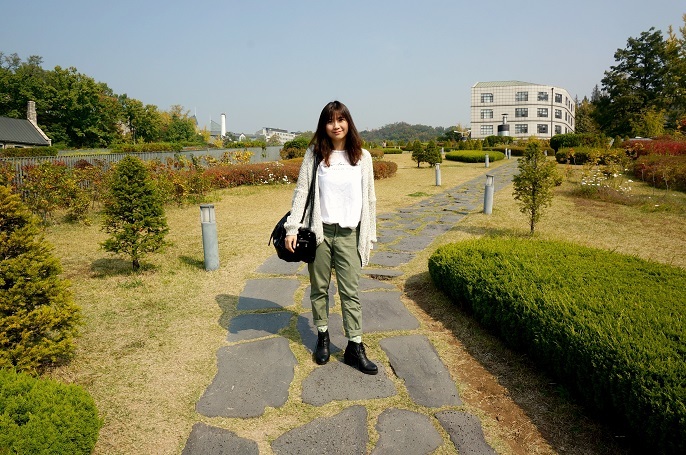 Well, that conclude my visit at Ewha Woman's University. If you ever visited this place before, welcome to share your thoughts on the comment box below. I would love to read if there's anything I missed out on this place!